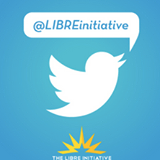 The LIBRE Initiative is a conservative grassroots organization that targets Hispanic voters. It is a a 501(c)4 nonprofit and has ties to the Koch brothers. "Latinos in Nevada support Educational Savings Accounts, helping more than 450,000 students access better schools. But Catherine Cortez Masto is against it." "The startup rate of Hispanic businesses is three times the national rate."